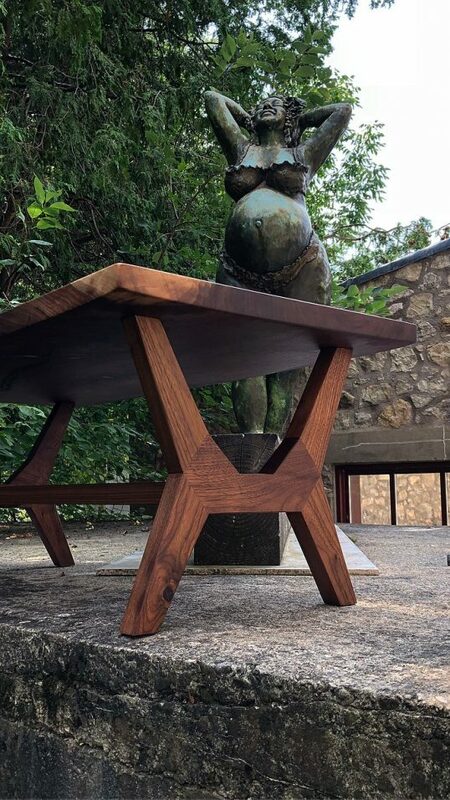 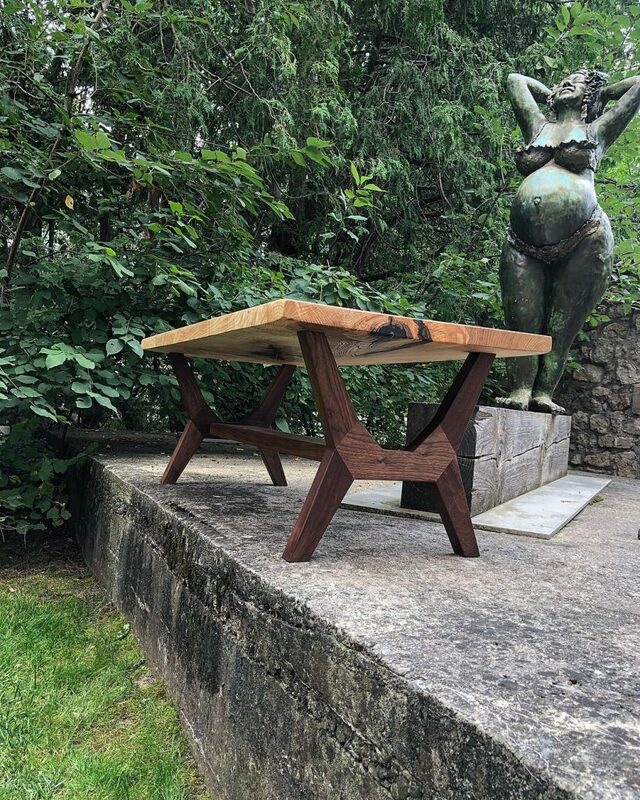 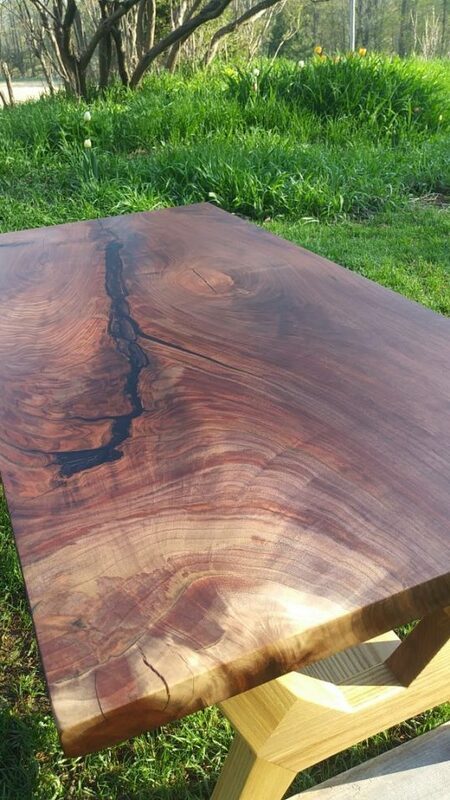 This contemporary coffee table features the striking contrast between Walnut and White Ash. 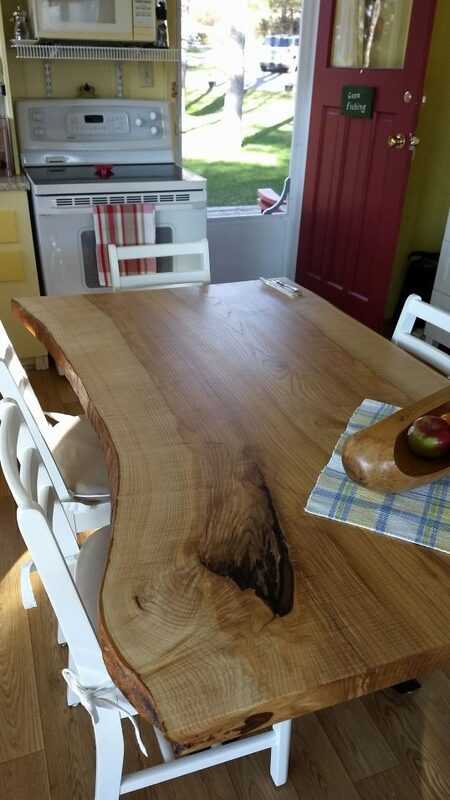 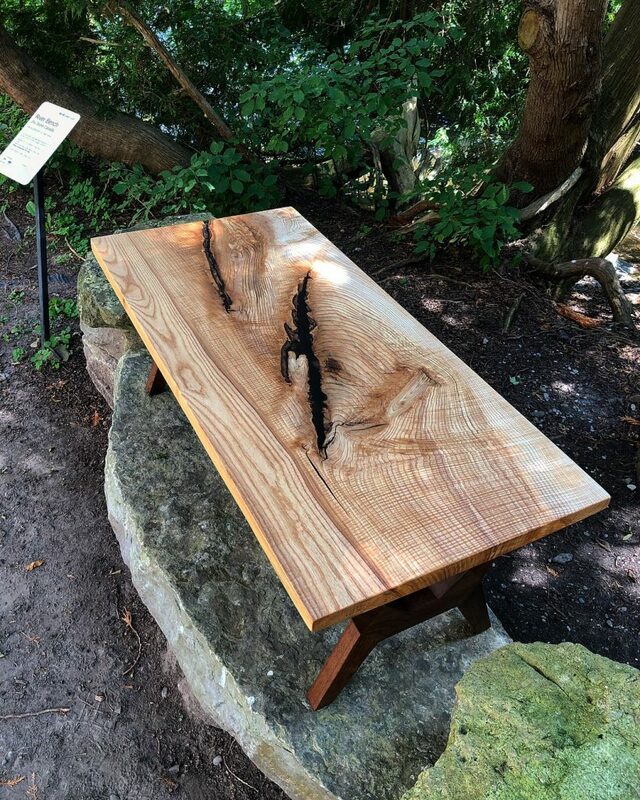 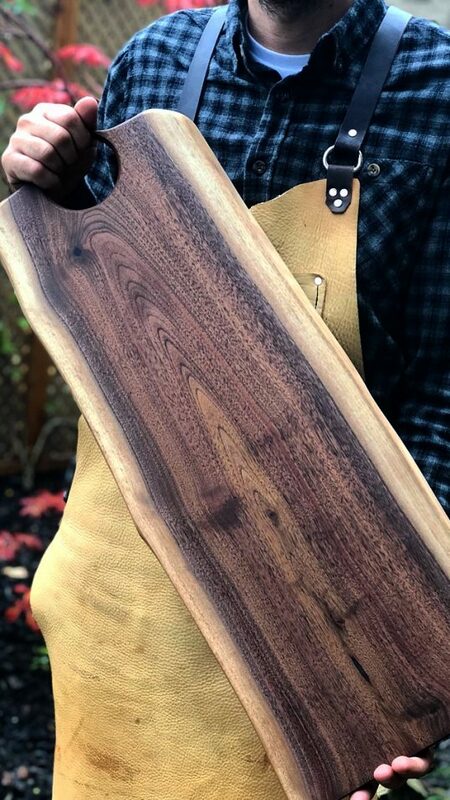 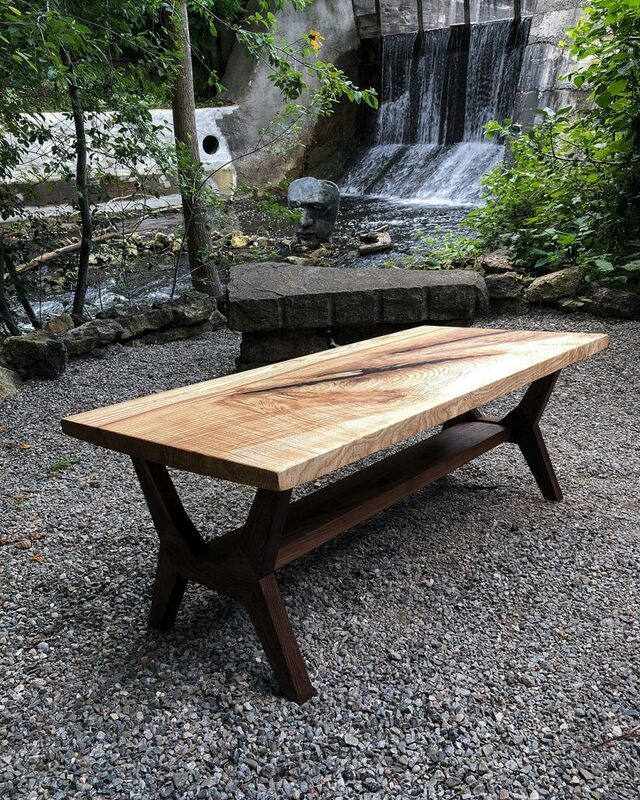 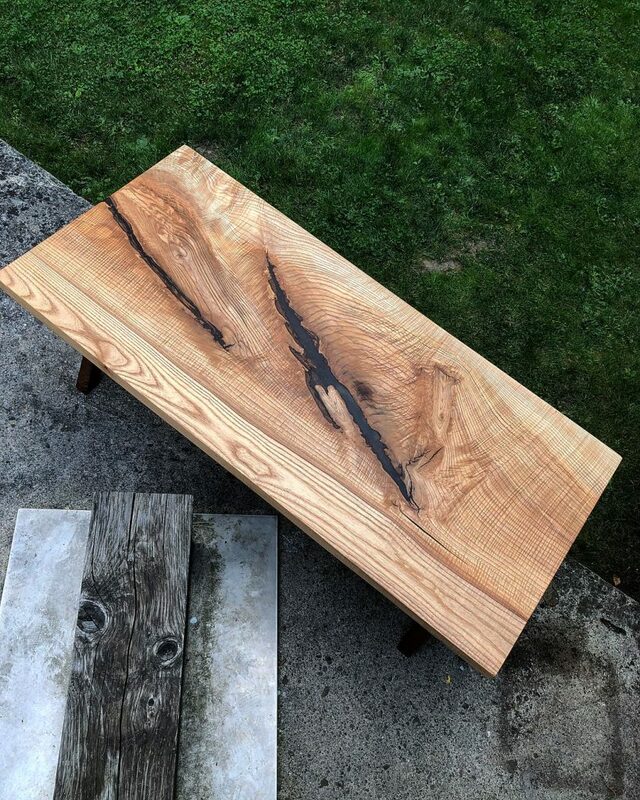 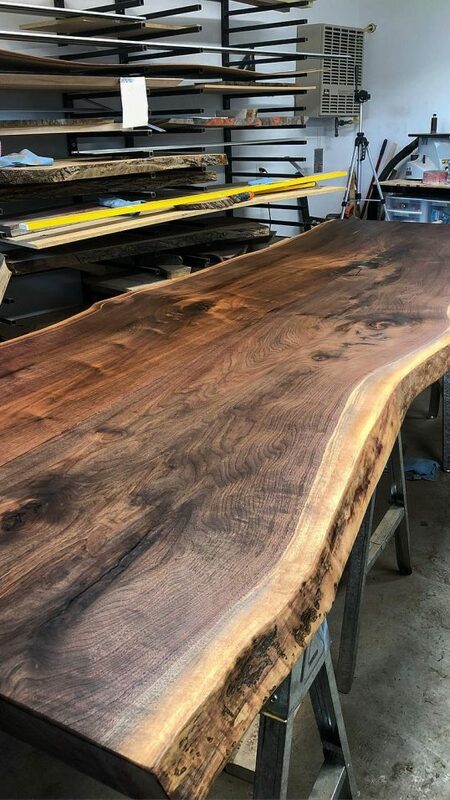 The top was cut out of a larger live edge slab and selected for its character and bark inclusion. 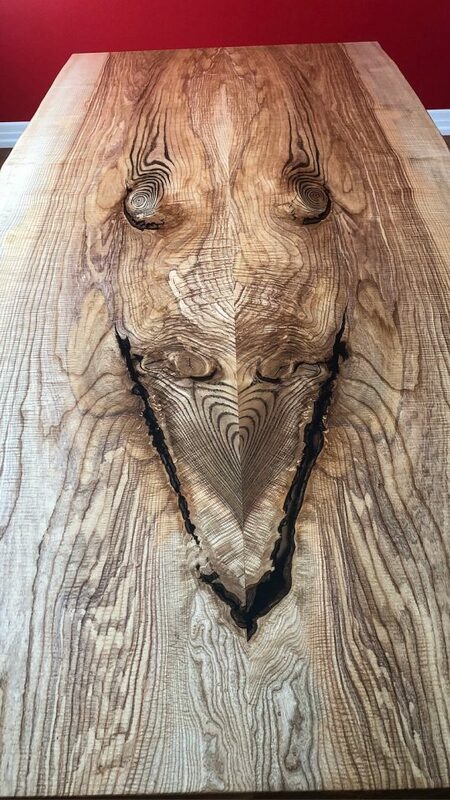 The bark inclusion was filled with clear epoxy adding another level to appreciate in this timeless piece. 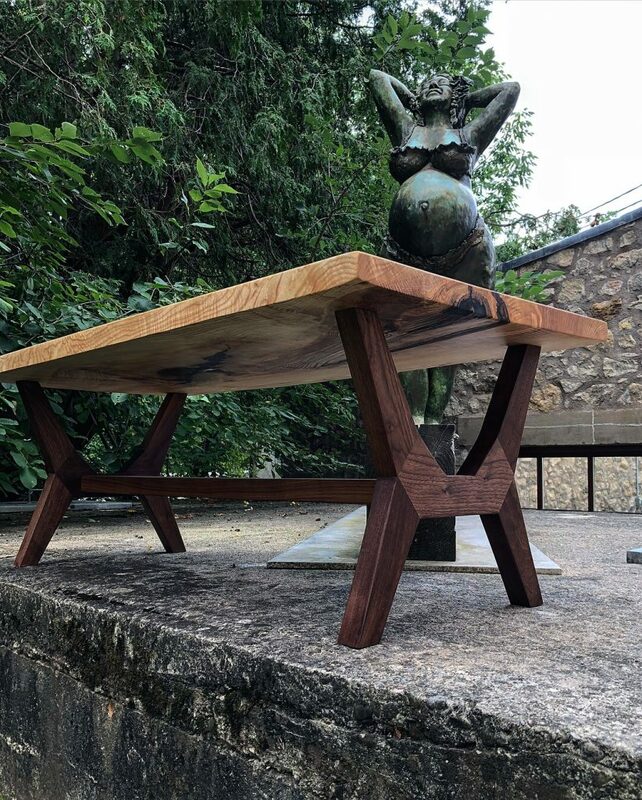 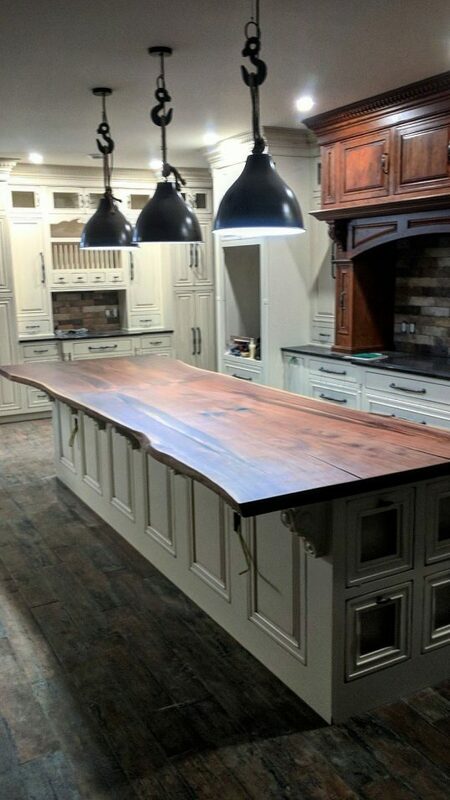 Please contact us today if you’re interested in a custom furniture piece.